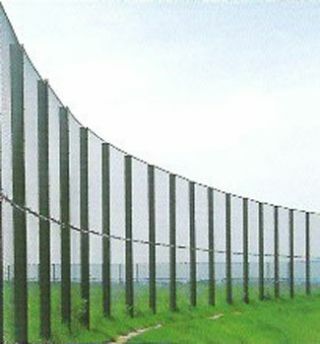 The Palmer Group are fully equipped with the necessary specialist plant machinery to facilitate your requirements for any fencing design. All work is carried out by friendly, highly trained craftsmen and technicians to ensure a long lasting quality installation. In sensitive areas, our team are CRB checked to ensure your peace of mind at all times. Only quality bespoke products constructed to the relevant British Standards are used and often sourced from local suppliers. 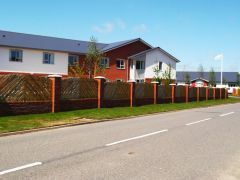 Regardless of the fencing type, when required, a free site survey can be carried to determine that the suggested product is both suitable and to address any installation concerns that may be present. Following the site survey a written quotation is supplied along with the delivery and installation times should you wish to proceed. 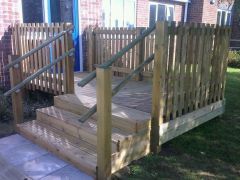 The Palmer Group is a dedicated and professional fencing contractor undertaking high-quality fencing systems. 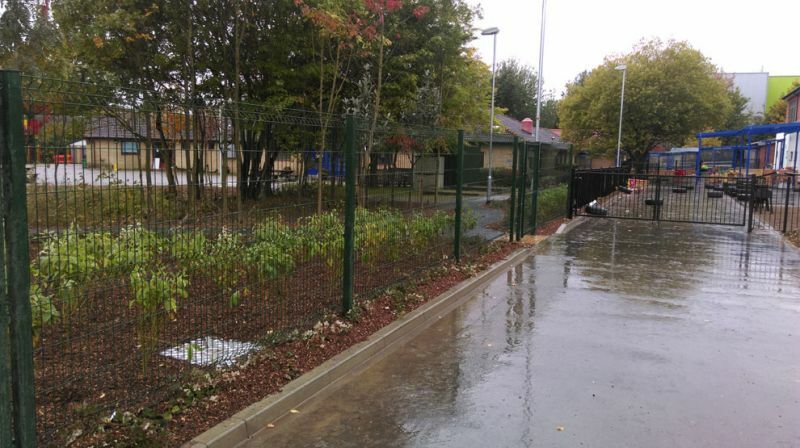 These include a vast array of commercial and domestic fencing types in either steel, timber or concrete to suit your requirements. Steel products are fabricated and galvanised, also with an added finish of powder coating if required, to a colour of your choice. 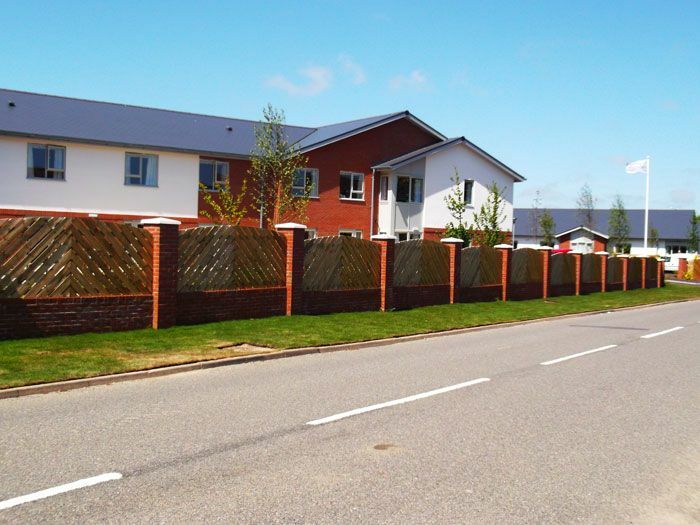 Bow Top Fencing in standard or bespoke panels which can be manufactured to non-standard lengths / raked or any radii to suit individual requirements. 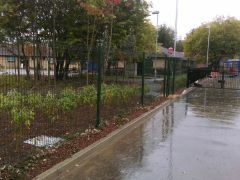 All timber products are FSC sustainable and pressure treated and can be installed with either timber or concrete posts. 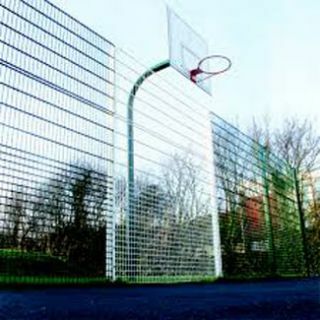 Available is also a vast range of gates to match all the fencing systems supplied. 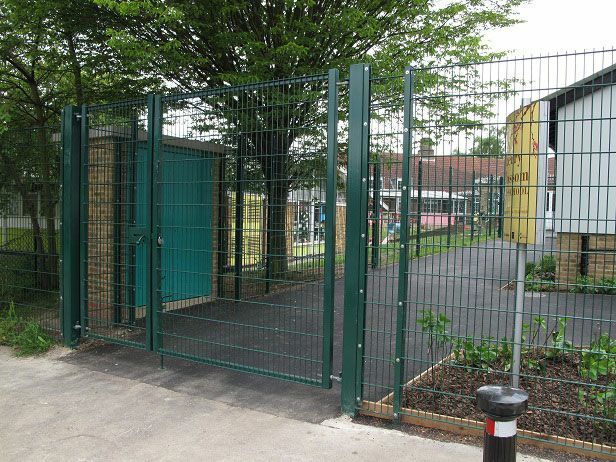 Manually operated swing or sliding gates come with many options, either double or single leaves, locks, self-closers and with security features. 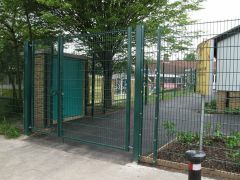 Temporary site Heras panels are available for hire or sale with an installation option when required along with crowd and pedestrian barriers. 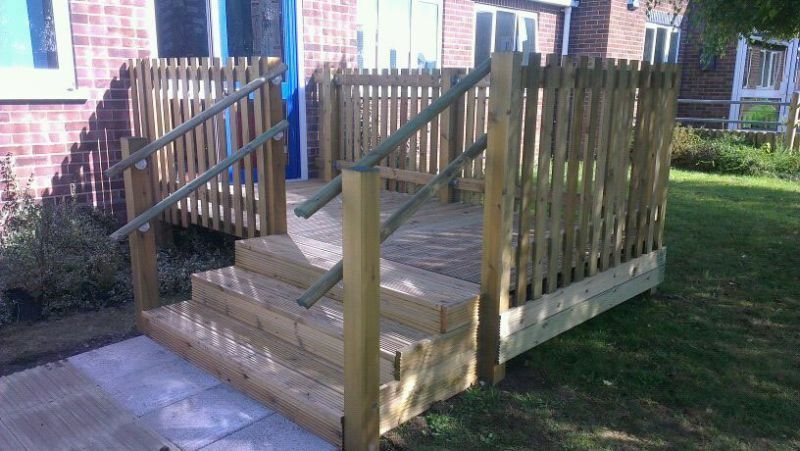 We manufacture and install to customer’s requirements.